Natural Review Box Monthly Subscription – Holiday Gift Idea! Disclosure: I received a Natural Review Subscription Sample Box for review. All opinions, as always, are my own. With Christmas just over a month away, I’ve been making my lists and checking them twice as I search for the perfect gifts for all of my family and friends. Since some of my closest friends do not live as close as we have in the past, we have found that surprising each other with a little something on our birthdays and holidays is a great way to keep in touch and show that we are thinking of one another despite the craze of life and distance between us. When I select gifts for my friends, I like to choose something to make them feel special or pampered. It’s fun to give and receive gifts that you may not think to get for yourself. It’s an even bigger bonus when it’s something special just for them – and helps them to relax, enjoy the moment and smile. 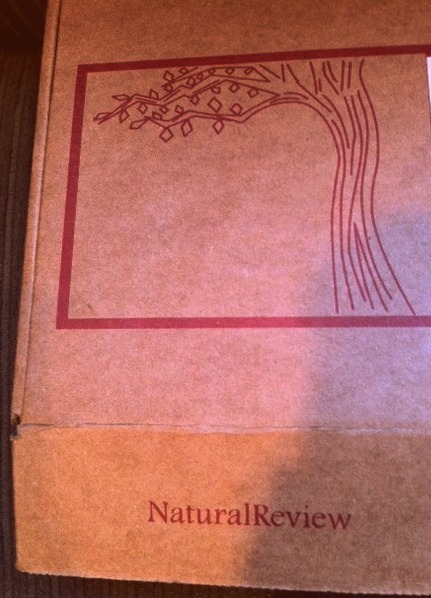 Recently I was introduced to and given the opportunity to review NaturalReview Sample Box. NaturalReview Sample Box is a subscription box that ” focuses on quality eco-friendly beauty, grooming, and lifestyle products.” For $20 a month, including shipping, you or your recipient will receive a box stuffed with ecofriendly sample items for face, body, hair, home and more! These natural, pampering products are a great way to sample new products and experience new items that are as lovely as they are good for you. For those of you looking for special “green” gifts this holiday season, you certainly will want to check out NaturalReview. All of the products are ample sized samples with lively, pampering scents. I love that the products contain all natural ingredients that are easy to recognize with no chemicals or harmful additives. I was thrilled to see that the box and packing consist of recyclable materials as well. I was excited to try all of the items in the box and loved the idea of being introduced to some great products I had never been introduced to before. There is something so fun about receiving a subscription box in the mail – I felt like a kid on Christmas digging through the box to check everything out – and even more excited to enjoy the fun of sampling all of the items. I boiled up some water and seeped myself a piping hot cup of the Sassy Strawberry flavored Not Just Tea to enjoy as I began the fun of sampling my products via my own at home mini spa day! Both the goats milk soap and the goats milk lotion were such a treat for my dry, chapped skin and the scent of all three is scrumptious – light and enjoyable – perfectly scented for everyday use and not at all overwhelming. The soap lathers well and rinses easily leaving no residue behind yet leaving skin soft smooth and supple. The breakfast Smoothie Facial mask was simple to apply by mixing with some warm water and gently rubbing into skin. I laid back and relaxed for about 10 minutes after applying. The mixture was simple to remove with a warm damp cloth. I kid you not when I tell you that my skin looked and felt radiant when I was done! Next up was my mini pedi! I soaked my feet and used the Mi-Me Vanilla Salt Scrub to help get them extra smooth. I finished the pedi by rubbing both feet with the Ginger Lime Scented Goats Milk Soap and treated myself to a coat of light pink polish. What a treat! This $20 box turned out to be a perfect little spa day for me and something I know my friends would be delighted to receive this holiday season in the mail! Not only is this a convenient gift shipped directly to your recipient, but the subscription can be cancelled at any time so there is no commitment to continuing purchasing the boxes each month. For those leary about the idea of a subscription, you may want to check out their Etsy store HERE where you will find Bonus Boxes, which you can purchase with no subscription required! 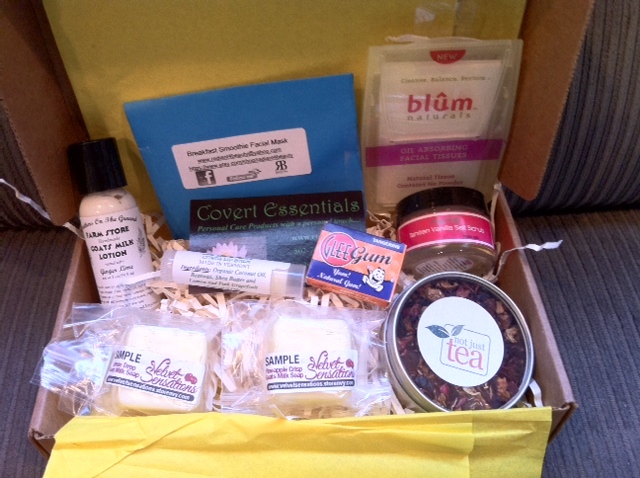 Many thanks to NaturalReview for sending me this lovely Sample Box for review. I look forward to incorporating some of these delightful natural products into my family’s daily routine! If you enjoy natural products and natural living, be sure to check out Natural Review’s blog for more natural product information, tips, natural hair, health, skincare, natural home and more! Those goats milk soaps sound incredible!! What a great sampling of products you received! What a great box! It’s the perfect gift for someone who needs that day off to regroup and energize… like me! OOO, I love this! Especially goat’s milk soap, that must be amazing. I will share, my followers would love this! I LOVE getting fun stuff in the mail… who doesn’t right? I love the premise of this box and would make a great gift as well. I get the Birchbox now, but this is something I will definitely look into. How fun!! I love the idea of a subscription program as well as what your family does to surprise one another. Some great stuff was in that box! Wow! I LOVE this! 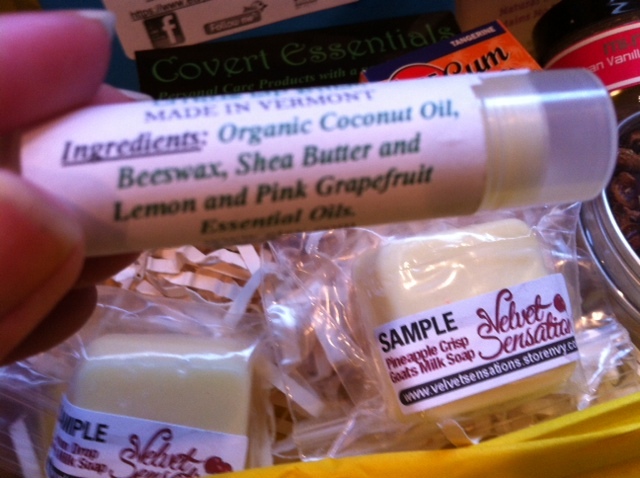 What a great idea to check out a bunch of natural products right before the holidays! This sounds like a fabulous subscription service! I absolutely LOVE this idea. 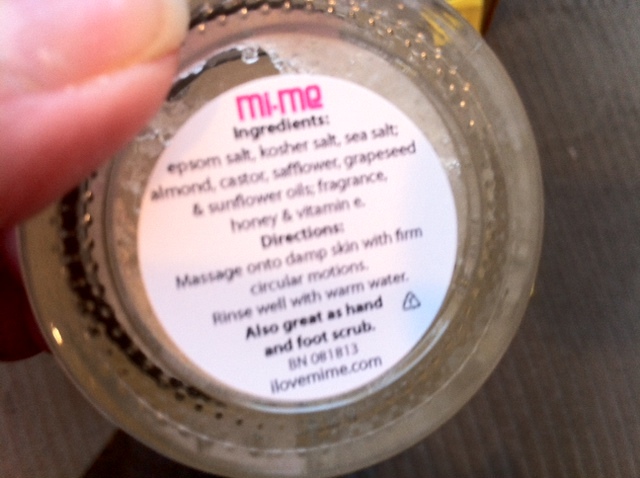 It sets itself apart from the rest by being natural products– fantastic idea!